"No one is wise by birth, for wisdom results from one's own efforts." We’re proud to introduce our Certified Iyengar Yoga Teachers (CIYT). Certification is carried out by the Iyengar Yoga National Association of the United States (IYNAUS). Every teacher at IYISF continues their studies with teachers in the direct lineage of B.K.S. Iyengar. Each instructor is certified in the Iyengar Method. Earning an Introductory level of certification represents approximately 800 hours of training. Achieving Junior and Senior levels constitutes thousands of hours of dedication, study and practice. Many of our teachers are certified by the International Association of Yoga Therapists as Yoga Therapists (C-IAYT), and the majority of our teachers have studied in Pune, India at the Ramamani Iyengar Memorial Yoga Institute; some have made many trips there, returning on a regular basis. More about each teacher, including who they have studied with and further details about their training, can be found on their individual websites, linked below. You can expect precision, enthusiasm, inspiring demonstrations, attention to safety, and very clear instructions from every teacher at the IYISF. CIYTs skillfully use voice, props, and hands on adjustments during the teaching process as a means to guide and correct students in their understanding of asana. Each teacher is unique so try out a few different teachers to find the ones whose teaching style and personality resonates with you. Practicing since 1976. CIYT Intermediate Junior III. I am inspired by the profound and sensitive teaching of yoga master B.K.S. Iyengar and his children, Geetaji and Prashantji. My regular visits to Pune enrich and nourish my practice and teachings. I enjoy teaching advanced students, those beginning to understand the depth of practice, and those who suffer with back challenges. In the first chapter of the Yoga Sutras Patanjali gives several methods to calm the mind and prepare it for spiritual evolution – have a soft, slow exhalation and wait for awhile, witness the serenity and peace in that empty space after exhalation. I find this sutra to be quieting to my nervous system and a great comfort to deal with the stresses of life. I began practicing yoga in 1971, after a near-death experience showed me some home truths about my limitations and delusions. In 1983, I came to IYISF to do teacher training, and have been teaching continuously since 1984. Yoga practice is my passion – I look for the light in each student and do my best to transmit trust in long, steady, uninterrupted practice, through my example, words, hands, and eyes. Guruji asked me to train myself so that every action gives life, and after two major accidents, there is nothing more satisfying than expressing freedom every day through this very body and mind in yoga. As Yoga Sutra I.1 teaches, yoga is expressed now. Practicing since 1988. CIYT Intermediate Junior I.
I bring to my teaching an enthusiastic belief in yoga as a practice that can infuse each moment of our daily lives and bring gifts of personal transformation, holistic health maintenance and stress relief. I love to practice poses that I hate, like forward bends, because they remind me of the work in front of me and how much further I could potentially go. I love to practice poses that I love, like adho mukha vrksasana (full arm balance) because it energizes me and instantly takes my mind off any worries. My other roles in life include husband, father, community member, business owner, musician, and outdoorsman, and I have discovered that yoga practice supports all these roles. Yoga’s powerful effects and the continually refreshed perspective on life that yoga offers inspire me and keep me coming back to my practice. 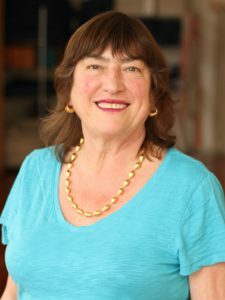 I got interested in yoga when I saw someone practicing yoga on the beach with the San Francisco Bay as the background – she was an Iyengar teacher, who like me enjoyed open water swimming! I love doing Sirsasana (headstand) in the outdoors to see the sky as the ground and get a change of perspective. I am inspired by anything that makes me want to know more and investigate. As a teacher, I hope to ignite interest and curiosity in my students in yoga. My yoga practice is a “go to place” to bring clarity and to address the physical and mental challenges that life brings. 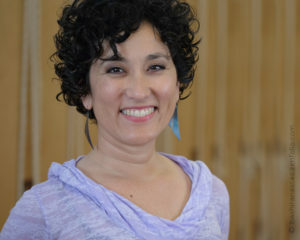 As Yoga sutra I.13 says, “Practice is the steadfast effort to still these fluctuations.” Coming to a class requires the conscious effort to choose and discriminate among other possible choices to become present, directing our will, attention and energy to bring a calm and more tranquil mind. 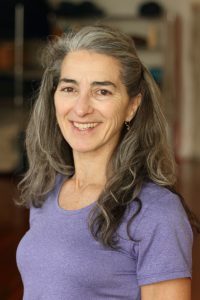 I bring to my teaching a warm heart, knowledge of anatomy and well-being informed by 30 years of practicing and teaching Iyengar Yoga, plus an intention to connect with each person. The dedication of B.K.S. Iyengar, his family and the lineage of teachers inspire me to persevere daily and share what I’ve learned. Art and nature nourish my soul as do courageous people who work for human freedom and dignity. For me, yoga practice is grounding and essential – an infinite exploration that fosters a balanced perspective in all aspects of life. Among my favorite poses are headstand and shoulderstand to clear away mental cobwebs, take the load off the lower limbs, cultivate strength and stability. Sutra II:47: “Perfection in asana is achieved when the effort to perform it becomes effortless and the infinite being within is reached” guides me to do what’s possible at that moment, find the ease of simply being there, and continue on. I fell in love with yoga in 1985 and began studying Iyengar yoga in 1996. From my native Argentina, I also hold degrees in physical education and Expression Corporal (a form of modern dance). 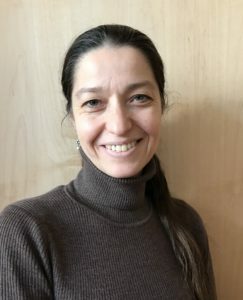 I bring to my students the joy I find in the practice, my enthusiasm with a sense of humor and a playful attitude, and hopefully some inspiration to keep going despite whatever situation we may face. There is not one pose I don’t enjoy! Inversions rejuvenate me – handstand is better than coffee.The eagerness to discover who I am brings me to daily practice. I feel inspired daily by my Guru, B.K.S. Iyengar, for the sharpness and playful mind he had till the very end, by all my teachers who show me through their examples and by my students from whom I learn. The Yoga sutra that comes to me most often because it can be applied to almost any situation is “The pains which are yet to come can be and are to be avoided.” (2.16). Practicing since 1999. 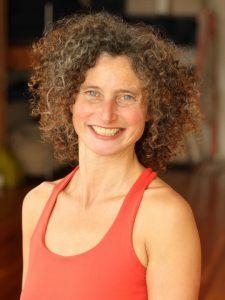 CIYT Intermediate Senior I.
I aim to bring a spark of yoga to each student through the teachings that I’ve received in the Iyengar tradition. These teachings have been filtered through practice, study, and reflection. And I strive to communicate them with clarity and compassion. The wholeness that I experience during my practice and the positive effects that I accumulate over time continually reveal the transformative power of yoga. What draws me to practice? Its endless possibilities, obstacles and tiny insights, and balance of doing and being. I’m inspired by the intricacy of nature and discovery. I believe the joy in any asana can be found along the journey from movement and shape to silence and vibrancy. My yoga sutra study takes me along many paths. At this moment, I am absorbed in the sutras on transformation and the myriad treasures in B.K.S. Iyengar’s commentary that inform practice and life. Practicing since 1978. CIYT Intermediate Junior III. I fell in love with Iyengar Yoga while living in London, England. I moved to California in the late 70’s and enrolled in the teacher training program at the IYISF. I infuse my teaching with the joy of yoga. I am inspired by the teachings of the Iyengar family, and I enjoy practicing all the yoga asanas and deepening my understanding of the subject by studying all the Yoga Sutras. One of the things that I appreciate about yoga is it involves lifelong learning! Born in the Isle of Skye, Scotland, I have travelled to many parts of the world sharing the light of yoga with all the students I meet. Practicing Iyengar Yoga since 2006. CIYT Intermediate Junior I. Nothing makes me happier than finding new ways to transform myself. Always a seeker, I lived in a commune for years, became a Registered Nurse and then a Public Defender, and along the way learned how to swim to Alcatraz, Samba down Mission St. in Carnival and practice meditation at the Zen Center. Iyengar Yoga now gives me a sustainable way to transform myself every time I “take it to the mat” because, over and over again, my practice has proven to change the way that I think, the way I feel and the way that I exist in the world. I especially love doing handstands for the immediate change in perspective they bring and Sutra II.16, “The pains which are yet to come can be and are to be avoided” reminds me to stay present. I’m inspired by the auspicious distinction of being born on the same day as our Guruji, B.K.S. Iyengar. I took my first yoga class in 1975 and received my first certification in 1977 with Indra Devi, the only non-Indian female who studied under Tirumalai Krishnamacharya, B.K.S. Iyengar’s Guru. 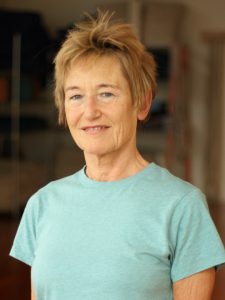 She was 77 when I studied with her and I was inspired by how light and quick she was in her movements. I said to myself, “I want to be just like her when I am her age!” I try to instruct in a way that elevates the students’ sensitivity in the poses which can transform the alignment of the asana and aid in developing a deeper understanding beyond the physical. 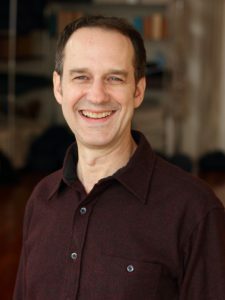 My teaching melds my knowledge of yoga, functional anatomy, design and movement into a methodical teaching style. My goal for students is to leave the class with a deeper understanding of the focused subject. My favorite Yoga Sutra is I.9 – vikalpah: Verbal delusion arises when words don’t match reality. Practicing since 2003. CIYT Introductory II. I was amazed when I found that my yoga practice helped manage both my depression and my chronic tendonitis and bursitis. Iyengar Yoga is for everyone and I practice because it makes me feel good inside and out. I try to make yoga accessible to all of my students, especially those who are inflexible and afflicted by pain. I love doing inversions and backbends – inversions reset me and backbends help me with my personal afflictions and bring vigor to my day! I’m inspired by nature, my mentors and teachers and the Yoga Sutras. My favorite Sutra is I.33, which is about being compassionate to those less fortunate, to be virtuous. It is an approach to life! I began practicing yoga when I was 18. Feeling better physically and mentally keep me coming back to my mat day after day. Yoga has brought me inner peace and contentment, which is what I seek to impart to students through my teaching. Backbends are my favorite group of poses – they create lightness in all aspects of my being. Off the mat, I find inspiration in art and nature. When steeped in the beauty I find outdoors or while viewing art, I experience hope, faith and possibility and I am reminded why I persevere along the path of yoga. I’m especially moved by Yoga Sutra I.36: ”Inner stability is gained by contemplating a luminous, sorrowless, effulgent light.” I volunteered to serve on The IYANC/IYISF Board of Directors and was Board President for two years. I am inspired by a quote from Bessel van der Kolk, MD: “Once you start approaching your body with curiosity rather than with fear, everything shifts.” I love to practice and teach inversions, like headstand and shoulderstand, and back extensions because they give strength, courage, and poise. I aim to teach with kindness, humor, and enthusiasm. 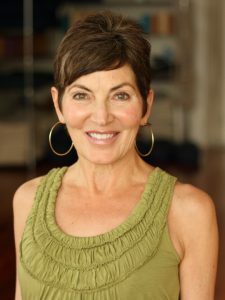 I am also a practicing psychotherapist, and believe yoga is a space for exploration, curiosity, self-learning, and the increase of joy. One sutra that has special significance for me is I.48, ṛtam-bharā tatra prajñā, “In that place, there is wisdom, the knowledge that carries truth within it.” I have felt that glimpses of this wisdom, and truth, bring a tremendous sense of peace and connectedness. 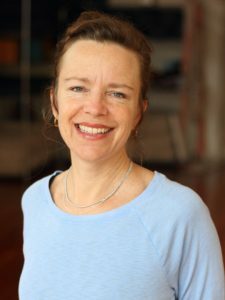 I am overjoyed and deeply grateful to teach at IYISF, to carry on the lineage of Iyengar Yoga, and to serve the San Francisco community. 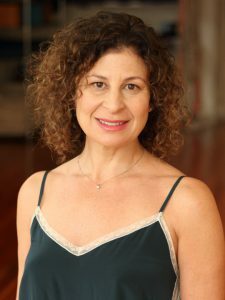 By sharing my experience and knowledge of Yoga, anatomy and philosophy in a precise, creative and supportive fashion, I strive to help my students achieve greater health and harmony through a balanced yoga practice adapted to their personal needs. I greatly benefited from the therapeutic value of Iyengar Yoga to rehabilitate my back from a sport injury, and over the past 30 years I have helped many students with their back and neck related issues. I love spending time in nature: walking on the beach absorbed in the infinity of the ocean, biking, hiking in the mountains – this communion with nature energises my being and inspires my practice. Yoga Sutra II.47, “by relaxation of effort and meditation on the infinite posture is perfected”, especially resonates with me as a reminder to balance effort and surrender. The conjunction of the seer with the seen is for the seer to discover his own true nature –Yoga Sutra II.23. I am inspired by the inner light that practice reveals, the compassion and dedication of the teachers who have come before me, and by the heartfelt efforts of those who I get to share this priceless path with. The direct physical, physiological, psycho-emotional and intellectual benefits of this method, plus a deep appreciation for truth, have kept me consistently returning to the practice. 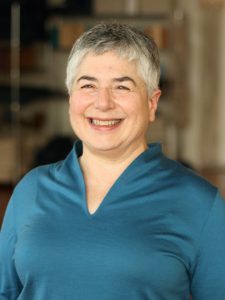 Over 30 years of experience as a practitioner of Iyengar yoga and Vipassana meditation, are the foundation from which I bring depth, clarity and joy to my classes. 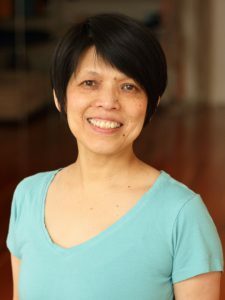 I am also influenced by a life long passion for surfing, formal training in the Fine Arts, the practice of Shintaido, and decades working as a somatic educator and bodyworker in the San Francisco Bay Area. I discovered yoga after a long relationship with dance and movement and was immediately drawn to its rejuvenating properties. I’ve always been inspired by the people I meet through yoga, and I strive to encourage a sense of community through my teaching. To me, each class is a new experience; I love the way yoga adapts and expands to meet the needs of all individuals in the room, regardless of level. Yoga is my bedrock; it provides both a physical and philosophical foundation to my daily life. In my personal practice, I find yoga to be fascinating, exciting, clarifying, dynamic, and profound – it’s the way I feel after each practice that keeps me coming back. I also find strength and inspiration in the philosophical aspects of yoga. 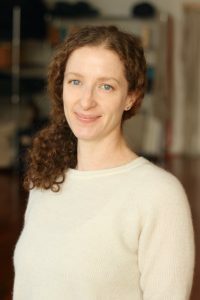 For the last several years I’ve been studying the Sutras with a group of fellow yoga teachers and examining the relevance of the ancient texts to our modern lives. As a child, I enjoyed all forms of movement. 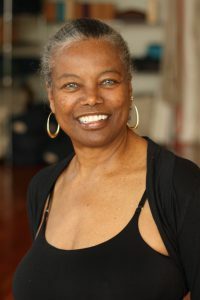 I received a Masters Degree in Dance Arts from Mills College and I danced and taught until 1983 when I found Iyengar Yoga. While remaining true to the methodology that speaks to me so vividly, I continue to find fresh new ways to engage in my practice and teaching. Currently, I am exploring ways to modify for beginners an Immune System Asana prescription Mr. Iyengar gave me years ago. My favorite Sutra, I:39, embraces an individual’s uniqueness allowing for the student to find their preferred focus for meditation. My own yoga practice is enhanced by my passion for dancing, building Temples, and sharing a vibrant life with my two children. I encourage my students to integrate their own life’s rich pageant into their yoga journey finding all manners of practice that best suits their temperament. Practicing since 2001. CIYT Intermediate Junior I. As a teenager in Japan, I was fascinated by a yoga book my mother gave me, but it took 20 years and a foreign land for me to begin the practice in earnest. Yoga Sutra II.21 says that all experience and phenomena are there to serve Self-realization. Each day, I return to my mat seeking a deeper capacity in myself to acknowledge and hold my own and other’s human experiences. I strive to help students to develop the sensitivity and tenacity required to take this journey of self-discovery and transformation; taking obstacles and ailments as part of the path. B.K.S. Iyengar offered this enquiry, “‘Who am I?’ Throwing out the parts until only the Self is left. The final pose is ‘I am'” I hold these words in my heart as inspiration. I recently completed the first three year certified Iyengar Yoga Therapeutics training and continue to deepen my knowledge in this field. The practice of yoga for me is a daily exploration and remembrance of the value of understanding who I am. I am inspired by the Iyengar method, the heart of my practice- real, direct, simple, creative, challenging, transformative, and relevant in any number of situations and conditions. While teaching, I seek to support and encourage each student to establish and refine their understanding not only of this method of practice, but also the application of relevant skills and values from which they can develop and thrive both on and off the mat.It is my sincere hope that each student come to experience their own direct connection and love for this vast path of learning, service, and great joy. I started practicing yoga in my mid- 20s while pursuing doctoral studies in Political Science and Economics in Southern California. I loved the silent dance, mental application, and surrender that the practice demanded and imparted. Almost two and a half decades later, I am most grateful for the profound gift yoga has shared with so many of us —its power to reveal the light of the heart that always shows the way to the place that is our most sincere, our most natural…our true Home! My first introduction to yoga and to the teachings of B.K.S Iyengar was in 1993. It was what I found to be the best method of healing for my back issues due to a Scoliosis Spine. After two years of experiencing intensive transformation of my body, mind, and spirit, I realized that this path of yoga that brought me peace, inner joy, inspiration, and healing on multiple levels, was to be my path for the rest of my life. I then completed a teacher training program at The Iyengar Institute of La Mesa in 1998. To celebrate the 80th birthday of B.K.S. Iyengar, I went to Pune, India where I was inspired by the Iyengar family to further my studies into the Vedic Science of Ayurveda. 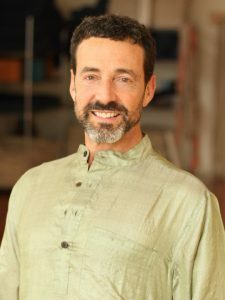 I eventually became a Clinical Ayurvedic Specialist and have continued my passion of the Vedic Sciences over the years in other related subjects. 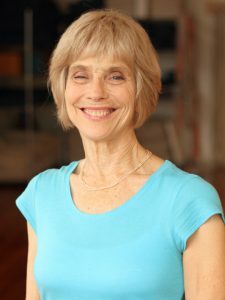 In 2017, I completed the first three year certified Iyengar Yoga Therapeutics training program on the study and application of Iyengar Yoga as therapy for the body, mind, and soul. Every day I am grateful for my teachers, the great wisdom that the Iyengar family has showered on us, and humbled to live my life through the eyes of the Veda. The wise words of my Guru B.K.S Iyengar that have inspired my life, my yoga practice, and as a teacher of this living ancient tradition are; “Yoga is like music. The rhythm of the body, the melody of the mind, and the harmony of the soul, create the symphony of life”. Practicing since 2003. CIYT Introductory I & II. When I was a child I had a hand typed book about a sickly boy, who ran away from his home village in India to live with ascetics. They taught him to meditate and practice yoga. Boy’s health improved, he grew up, and lived a contented life helping people he met on his path. I was fascinated with the story and ever since, yoga was something I wanted to try. 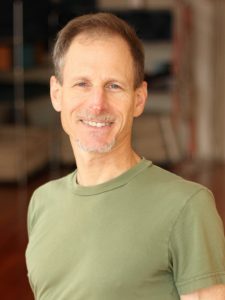 I stumbled into an Iyengar yoga class after moving to the North Beach neighborhood of San Francisco and my journey began. It is hard to believe that an hour of practice can leave you feeling so changed, much calmer, lighter, and stronger. I find that the practice of yoga is an invaluable tool for physical and emotional health for me; it’s like an antidote to all the stresses in my life. I try to bring some of the concentration and intention from my practice into my daily life “off the mat”. As a teacher, I hope to provide a safe environment for students to begin or continue their yoga journey, to explore and to find the benefits of yoga specific to their personal situation in life. I enjoy backbends as they leave me feeling energized and empowered. Along with yoga, I love dancing, reading, knitting and drinking tea – a truly meditative act. I wrapped my arms around Iyengar yoga over 20 years ago. I am grateful for my excellent teachers who inspire me. The excitement I feel in practicing yoga is matched by the excitement I have for teaching yoga. It’s fun, it’s challenging, and its depth and breadth are infinite. Stilling the mind and living in the present moment are possible within the practice and beyond. Yoga helps nourish a life of skillful action. That skillful action positively affects one’s life, as waves cover the sand. The effects are inspiring and available to everyone. The following quote from B.K.S. Iyengar’s Light on Life sums the beauty we find in devoted yoga practice. 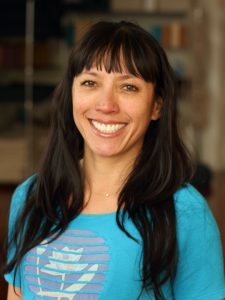 Yoga has brought joy, ease, and freedom to Magi’s life: balancing a hectic corporate life and grad school over a decade ago, to recovering from a motorcycle accident the last few years. 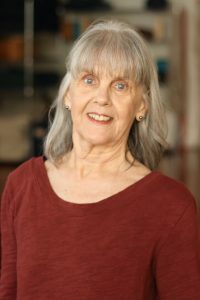 In 2011, Magi found herself in two 1-month-long Iyengar intensive in the foothills of the Himalayas with senior teachers, Rajiv and Saraswati Chanchani while on a year-long exploratory yoga journey. 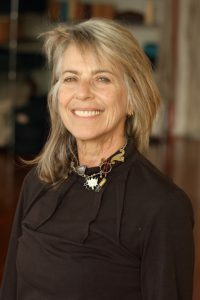 After having practiced other styles of yoga in San Francisco the prior decade, the deeper work of Iyengar Yoga made such an impression and change in her practice and life, she now dedicates much of her life to it. She is immensely grateful to all her teachers as well as the many students who inform her learning as a teacher every day.